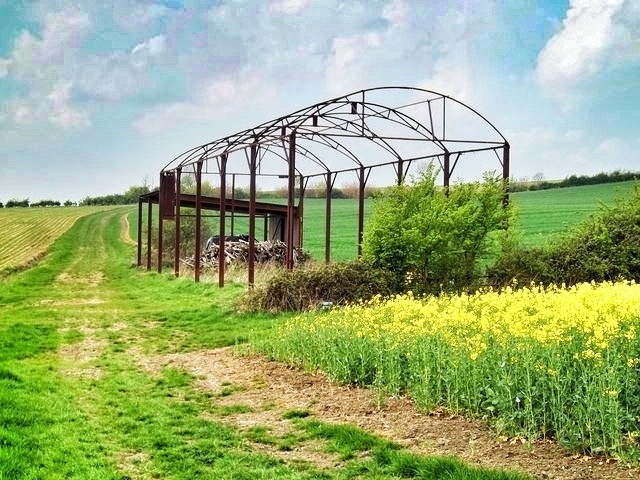 This post focuses on the ubiquitous corrugated iron structure know as a Dutch barn in the UK or a hay barrack in the US. 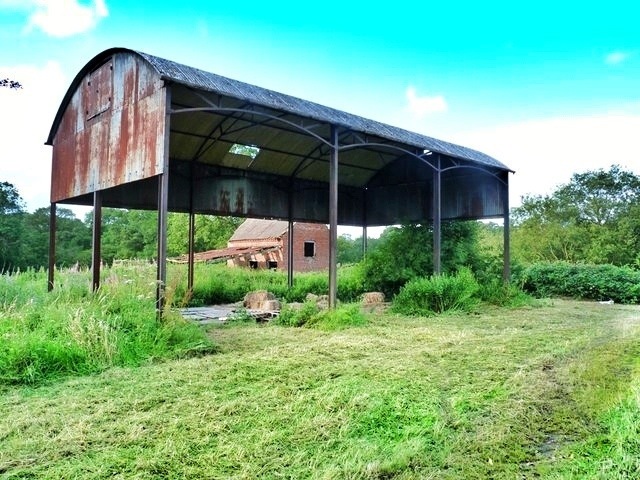 Early barn types in the UK, such as aisled barns, were primarily used for the processing and temporary storage of grain. Processing comprised of hand-threshing (or later, machine threshing) the grain before removal to a granary for more permanent storage. 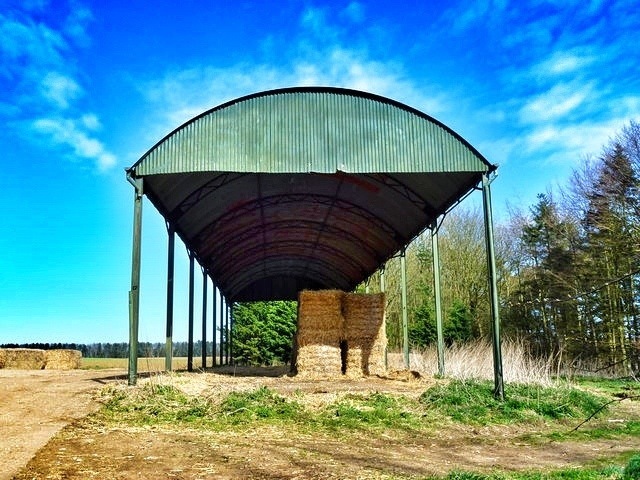 The hay barn was developed in response to evolving farming practices, particularly the use of water-meadows, which had led to a marked increase in the amount of hay that was produced. 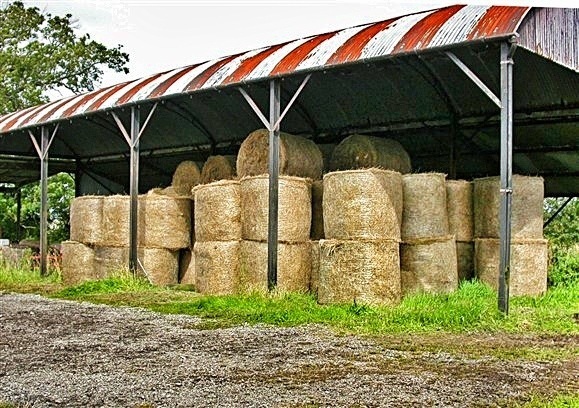 Formerly small amounts of hay had been stored in haylofts over a cow shed or stables, or in haystacks. However, haystacks were prone to spoiling in the rain, especially after the stack has been ‘opened’ for consumption. Different types of hay barns evolved, over time they came to share certain common characteristics, ie. they would generally have a roof but no walls. 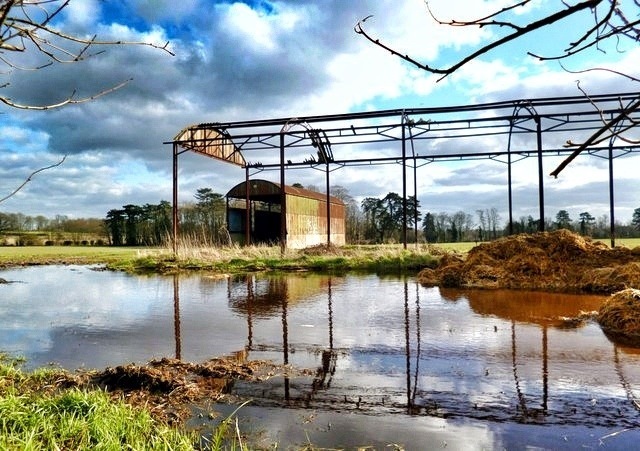 Dutch barns, as they became to be called, were often constructed with a rounded or arched corrugated iron roof and with metal uprights, although frequently, telegraph poles are also used. 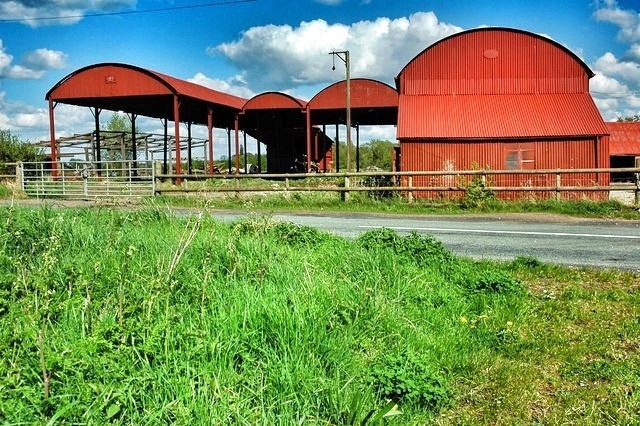 Due to their ease of construction these open framework barns are often considered temporary with their existence determined by the life of the pole uprights or the corrugated iron roof.